Last weekend we had friends over, we have been friends since way before weddings and kids. A few bottles of wine later, the fours kids between us fast asleep we began chatting about the “old” times (aka pre kids!). One memory that sticks out for all of us was that couples wedding in the beautiful surroundings of Puerto del Carmen, Lanzarote. Prior to getting married there they had been multiple times but hadn’t until the week of their wedding. We arrived to balmy evening sunshine on a Saturday in September 2011. Its was actually our first wedding abroad so we really didn’t know what to expect. On the Sunday we took a trip up to Teguise to see the market which afforded us an excellent opportunity to see some of the Island too. I find myself drawn to old architecture and cobbles streets and thats exactly what you will find here with some buildings dating back to 17th century. Well worth a visit. They sell all sorts of crafts here so do barter and that’s half the fun of it! It really is s lovely way to wile away a few hours. 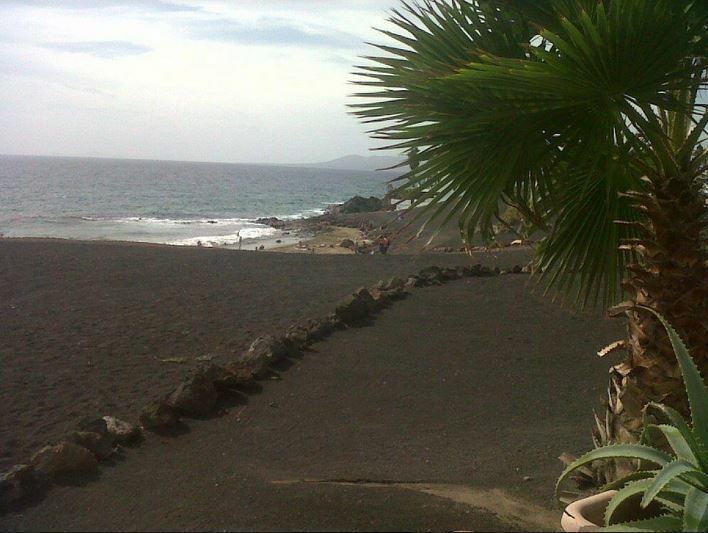 We were staying in a central villa in the busy tourist town of Puerto del Carmen. While I can’t recall exactly who we booked it through at the time, I have found lots of similar properties at Holiday Gems. In Puerto del Carmen you can find pretty much everything you need from bars to restaurants offering most types of food options. If a vibrant nightlife is your thing you will find plenty of it here too!! Not forgetting the 6km long beach with blue seas where you can pretty much do most of the usual water sports sports from windsurfing, to marine excursions, deep sea fishing and scuba diving. There is also of course plenty bars directly overlooking the beautiful beach. The wedding took place on the Wednesday in a stunning church just outside Puerto del Carmen however I understand now that non nationals can’t have a church ceremony anymore in the Las Palmas province of Spain. The reception was in the Hotel Fariones which had the perfect setting right on the beach. I believe recently there is a lot of building work going on at that hotel so worth checking that out before you book this particular one. For anybody looking for information on getting married abroad here is a really useful guide to getting married abroad. Hopefully one day we will return this time with four kids between us in tow. While traveling with kids is an altogether different experience its no less magical. Travel is good for the soul and for as long as we can we will keep doing it.